The wait is over! KTM has finally launched the RC200 & RC390 in India on 9th September! 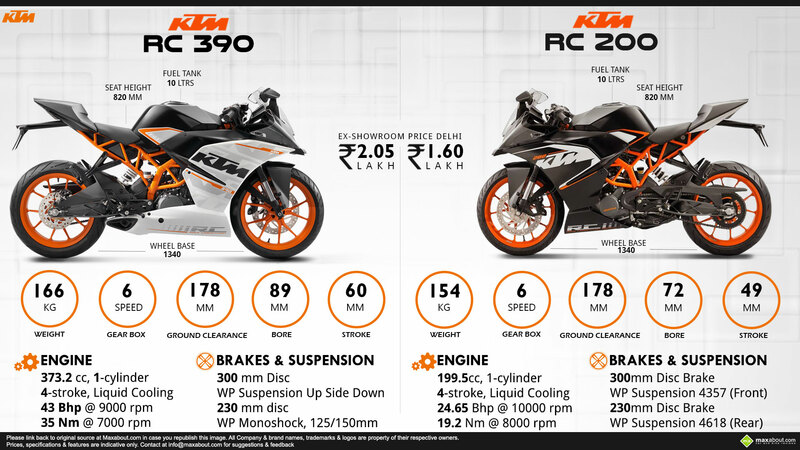 The booking amount is INR 30,000 and the ex-showroom price of KTM RC 200 is INR 1.60 lakhs and KTM RC 390 is carries an ex-showroom price tag of INR 2.05 lakhs. Click here to know the complete specifications and read in-depth review of the KTM RC 390.